Locally-grown Pumpkins take center stage this week as the Fresh Pick of the Week at the valley’s Certified Farmers’ Markets.Several farms have Pumpkins just in time for Thanksgiving. Pumpkins, like other forms of winter squash, are native to North America, and have a long history on the North American continent, with seeds having been found that date back as far as 7000 and 5500 BC. Today, Pumpkins are grown all over the world, and on six of the seven continents (Antarctica being the one exception). 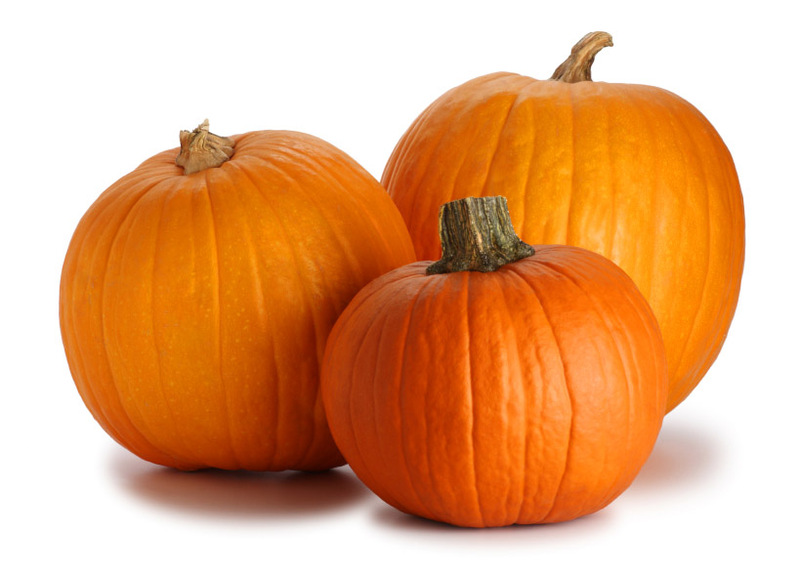 Pumpkins held a special place for American colonists, and continue to be popular in North America, especially during the holidays (from Halloween to Christmas). They are, in fact, one of the most popular crops in the United States, which produces approximately 1.5 billion pounds of Pumpkins per year, and in California, which is one of the top five Pumpkin producing states! Did you know: The Thanksgiving and Christmas holiday periods in the United States see an almost endless variety of Pumpkin flavored foods, drinks, candles, essential oils and candies produced and consumed. It is interesting to note, however that these same consumers rarely buy whole pumpkins during this time. Whole Pumpkins are most often purchased around Halloween and end up as jack-o-lanterns.